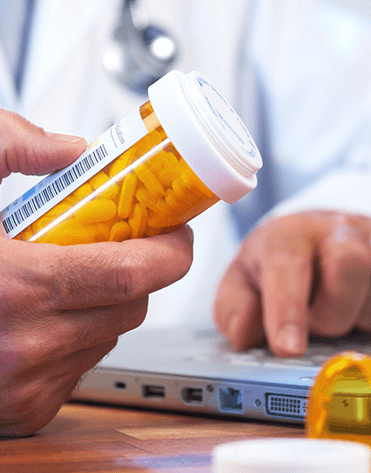 The Solver Pharmacy Software system gives the leverage of centralized purchase and distribution of stock to the retail pharmacy outlets. Centre-wise stock of goods will be maintained irrespective of the location of the pharmacy . Whenever there is a transfer of stock from one pharmacy to another pharmacy, only one entry need to be passed through the software. Weighted average cost method / Last price / fixed price will be adopted for all issue of Goods in the pharmacy. There will be a department master where all the departments can be defined. All the purchases are made to the main pharmacy store and from the main store items are issued to the departments upon request. Issue to the pharmacy will update the stock of pharmacy and for other departments it will be treated as consumption. Unlimited number of measure units and its fraction can be set up. Extensive category and attribute codes can be associated with each product for reporting and special processing. Along with user defined Categories Solver will further categories the pharmacy stock into different user defined groups. Items can be maintained in unlimited bin locations. Inventory can be moved between locations and bins within a warehouse or from one company to another. Solver takes care of complete purchase life cycle of the buying process from the requisition or demand level to the actual purchase of the items. The branches/pharmacies can send purchase requisitions to the head office or the concerned regional pharmacy offices for which direct enquiry comes and also items that are not available in the pharmacy stock. The central purchase department can monitor individual pharmacy performance and can generate purchase orders or purchase requisitions based on the previous ‘n’ days and last year for the same period and any other criteria which affects the sales of the pharmacy.